National Sock Day falls on December 4th each year. Originally created by a sock company, the national “holiday” began in 2016. Socks themselves have a much longer history. Socks originally started out as a status symbol. The very first stockings were discovered in Egyptian graves from around 500 AD (blacksocks.com). During the Middle Ages, pants and stockings together formed 1 piece of clothing. They were a privilege of the rich and the manufacturing was process was kept secret. By the time of the Industrial Revolution, socks (mostly made of wool) became easier and cheaper to produce. The first circular knitting frames were developed at the beginning of the 19th century. As factory production became more advanced, socks started being sold to the masses. Now, socks are sold at most major department stores and are readily available almost anywhere. There are sock subscription services, self-heating socks and even “smart” socks that can connect to your phone or collect data. In 2018, the sock market accounted for roughly $7,239,000 in US revenue (statista.com). In recent years, unique and even mismatched socks have become incredibly trendy. 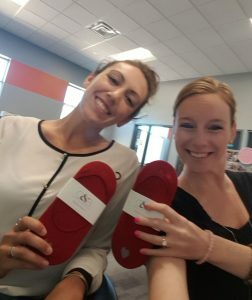 Gayle even gifted some team members mismatched socks as a #RAK (random act of kindness) last year. 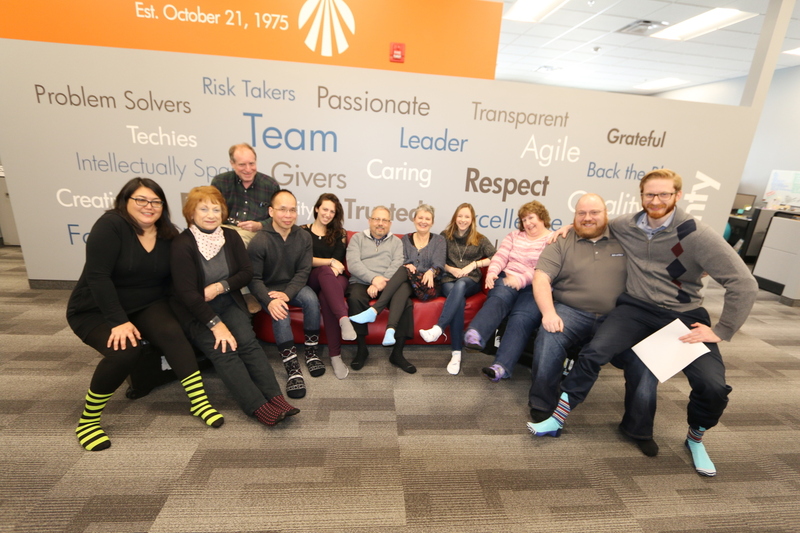 How is the L-Tron team celebrating National Sock Day? For the momentous occasion, Hank kicked off the day with a team picture. Everyone got together to show off their fancy footwear. We saw everything from shark socks to superhero socks. 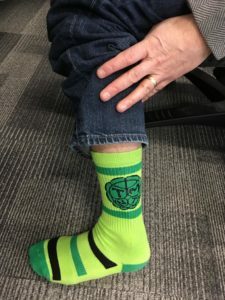 We loved Gayle’s mismatched socks, and were happy to report that RAD came into the office with matching shoes (which is not always the case). Cathy even had socks with pictures of her dogs’ faces on them! We hope you had a fantastic day of feet. Interested in learning more about our quirky company culture? Learn about our team here. Questions? 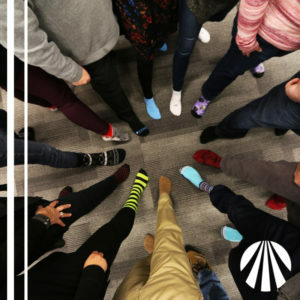 Tell us how you celebrated National Sock Day.